Wet and Wild Skyline 5-in-1 Combo provides climbing, sliding, bouncing, pop-out obstacle poles and basketball hoop in one jumper. It features two side by side ladders to climb before sliding down the attached refreshing waterslide. 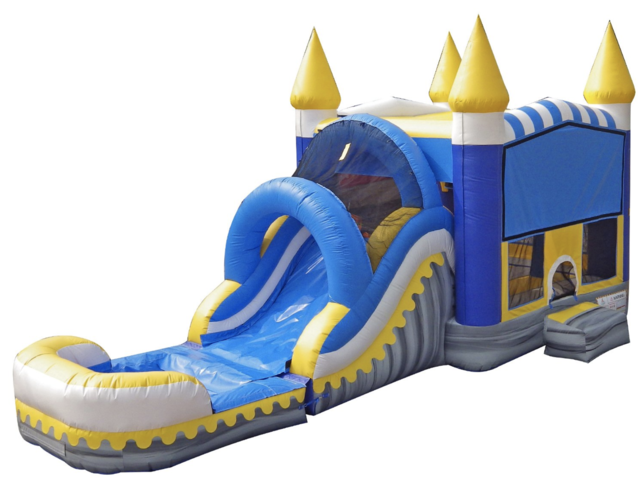 The slide itself has a pool at the end to provide kids with hours of extra splashing water fun!